There is so much information and mis-information out there about snoring that it is hard to know what to believe. Here are a few common questions about snoring that should help you understand the problem and what to do about it. When you sleep, the muscles of the jaw and throat relax, allowing the jaw to drop back and narrow the airway at the back of the throat. The narrow airway acts like the pipe in an organ, the air speeds up and vibrates causing snoring. Why do I snore sometimes but not at others? The conditions which allow the muscles of the jaw and throat to relax are not always consistent. Alcohol, physical work, stress or sickness can trigger those conditions. Why is it that as I have got older my snoring seems to have gotten worse? When we first start snoring we may be fairly young but it can start at any age. 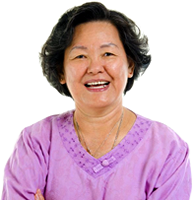 Generally, as we get older the muscles lose their firmness and tone. In the neck, throat and jaw, that allows the jaw to drop more and make the airway even narrower. Also as we age we tend to put on weight around the neck. Does losing weight and doing more exercise help stop snoring? Very fit people snore. Carrying excess weight and not exercising are not the cause of snoring, but they will make things worse. Losing weight and doing more exercise are good for you and may help in the short term, but is not the long term solution. I have been told that I stop breathing for a few seconds then start snoring again with a grunt and a splutter. What is happening? This is called ‘sleep apnoea’. In its commonest form the airway closes off briefly as you inhale. You struggle to regain your breath for a few seconds. Then with a grunt you start breathing again. When this happens often it has serious consequences for the snorer. Reduced oxygen levels in the blood affect the heart and brain. The struggle to regain our breath starts off an automatic response that disrupts the natural sleep patterns and over time leaves us sleep deprived. Snorepro holds the lower jaw closed and forward while you sleep. This keeps the airway open and permits the air to flow slowly so snoring does not start. Is it safe; Can I choke on it? No, a Snorepro cannot choke you and is perfectly safe to use. Snorepro has been cleared by the American Food and Drug Administration as a Class 2 Medical Device for the treatment of snoring and obstructive sleep apnoea. Does a Snorepro make me breathe through my nose? Is using a Snorepro comfortable? Yes, it is comfortable, if a little strange at first. Comfort is important, so if you notice any parts of the device that irritate you, they will be polished off at the time your Snorepro is fitted and any time after that free of charge during the first year. How successful is the Snorepro? We have been making Snorepro’s for 30 years and have helped tens of thousands of people around the world to stop snoring. We have a success rate of approximately 95-98%. Unfortunately some snorers have complications that prevent Snorepro from being effective. How long will a Snorepro last before I need a new one? A lot will depend on how well your device is looked after. In normal use and cared for as recommended, you can expect it to last about five to eight years. However, people have made them last fifteen years and others need to replace them every two years. Absolutely. Our devices are guaranteed for workmanship for one year upon receipt. New Zealand customers are offered a full money back guarantee. Arrangements do differ from country to country though. Additionally, some customers require their device to be adjusted after their initial fitting and this is all included as part of the Snorepro Service. I have false teeth. Will a Snorepro work for me? We assess clients who have false teeth on a case by case basis. A lot depends on whether there are full or partial plates involved and whether they are upper, lower or both plates. Will Snorepro cure my snoring? As much as we’d like to say Yes, your Snorepro will only stop you from snoring while being worn. Many of our clients have not snored when not using the device but this is often a temporary situation. How much does a Snorepro cost? Snorepro pricing differs by country and by service provider so please check with your nearest Snorepro specialist. Each device is carefully hand crafted by skilled technicians and takes considerable time to make. You will also have at least two consultations with a Snorepro specialist as part of our personalised service approach. What about getting a second Snorepro for travelling or back up? 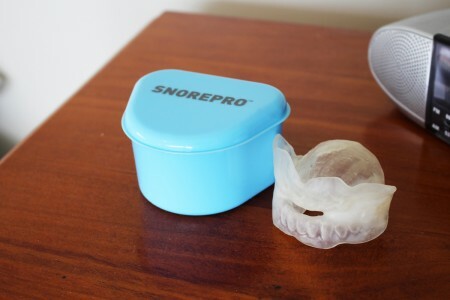 Many clients have a second Snorepro manufactured to suit their individual circumstances. We offer a second Snorepro at a reduced price. Where can I get a Snorepro? Each Snorepro is custom made because everyone is different. The reason Snorepro is so successful is that each one is made to the user’s unique characteristics. So it requires a consultation with a Snorepro specialist. Contact Us to find your nearest Snorepro specialist.